This story was originally posted by Salesforce. There’s nothing more important to businesses of any size than being intentional about creating a workplace culture that will attract, engage, and retain the talent you need to fuel your growth. For small or midsize businesses (SMBs), culture building is especially critical because it sets the foundation for future success. 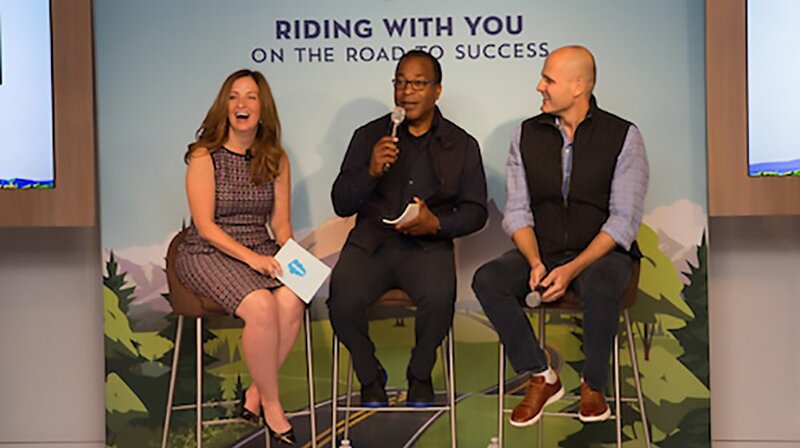 This year at Dreamforce, I had the honor of moderating and participating in a small business executive breakfast panel with Michael Bush, CEO of Great Place to Work and Laszlo Bock, CEO and co-founder of Humu. We discussed best practices for building a strong company culture that will grow with your business. There were about 300 SMB executives who had the opportunity to attend in person, but the insights that came out of this panel were too good not to share with the whole SMB community! Below are some of the best tidbits that came out of the panel that I hope any business can use to help create a culture that is built to scale. What culture advice do you have specifically for small business leaders? What are some of the warning signs that culture is not going to scale? How do you build a great company culture?